A post-mortem confirmed that Cameron died in "violent circumstances." The first-year college student has been remembered as "kind, polite and gentle". Addressing a council meeting last week, Cllr Colm Markey said it was a "very, very hard situation for everyone in the community". He said the young man "did no harm to anyone." "This is hanging over the community," he continued. 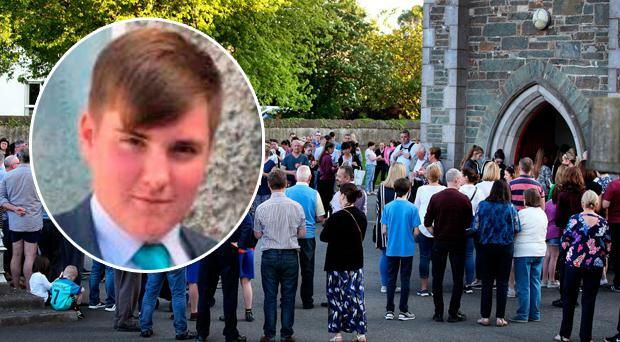 Meanwhile, Cllr Liam Reilly said Cameron was a "quiet young man", while Cllr Pearse McGeough said it was a sad time for the family and community and he urged those with information to tell gardai. "The longer it goes on, the worse it's going to get," he added. Gardai hoped their efforts would recover the teenager's mobile phone which may hold the key to his last hours, but there is still no sign of the mobile phone. Since the murder investigation commenced, gardai have said they believe the answer to who was involved in Mr Reilly's death lies close to the town of Dunleer.